The state owes a duty to provide free medical treatment to acid attack victims, said the Court. In an attempt to bring justice to the victims of acid attacks, the Delhi High Court went a step further to acknowledge and support the daily life struggles of their lives. In a landmark order Justice Manmohan directed the Govt. of NCT of Delhi to provide employment to Renu Sharma, a 29 year old acid attack victim. The much applauded order came against the backdrop of a plea filed by Renu Sharma, who was 19, when a tenant in her family house in Shahdara area of Delhi, threw acid on her face ten years back i.e. on February 2006. Ms Sharma has sought compensation of at least Rupees 50 Lakhs as well as to direct the authorities concerned to reimburse her medical expenses till now. She also asked for a government job either for her or any of her relatives. 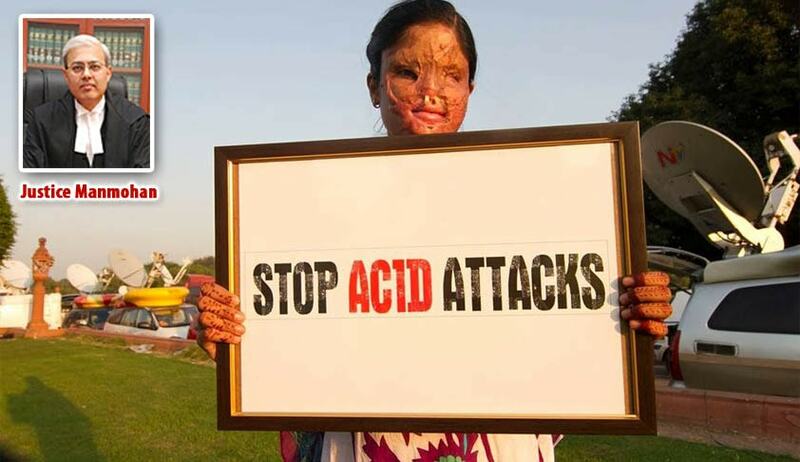 As per Delhi Victims Compensation Scheme of 2015, a sum of Rs 3 lakhs should be allowed to acid attack victims, when such matters are brought to the notice of Delhi State Legal Service Authority (DSLSA);Where the upper limit being Rs 7 lakhs in such cases. "In the opinion of this court, the state owes a duty to provide free medical treatment to acid attack victims. This court is further of the opinion that ceiling of expenditure of Rs 7 lakhs on medical treatment may be arbitrary and unreasonable in some cases. If more than Rs 7 lakhs is spent on treatment of an acid attack victim, the respondents (Delhi government) cannot take the stand that they would not spend more than the ceiling amount,"
Justice Manmohan also directed Lok Nayak Jai Prakash Hospital to provide free treatment to her and also stated that Renu should be offered an employment that adequately considers her educational qualification and medical status.